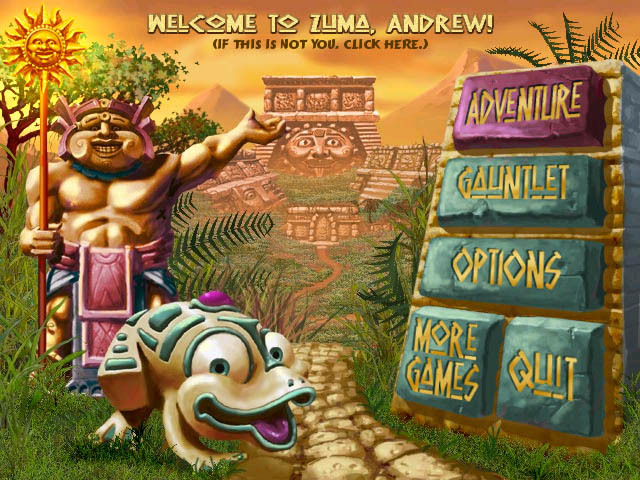 Thanks to Mindscape, Zuma is now available at all major gaming distributors and turns gamers into an almost archaeological treasure hunter where you must match a variety of Aztec type coloured stone orbs in order to burst them into the ether before these orbs come crashing down on you. Featuring a spiral type interface that has a variety of balls coming toward your creature, you must basically match colours in order to prevent this from happening. 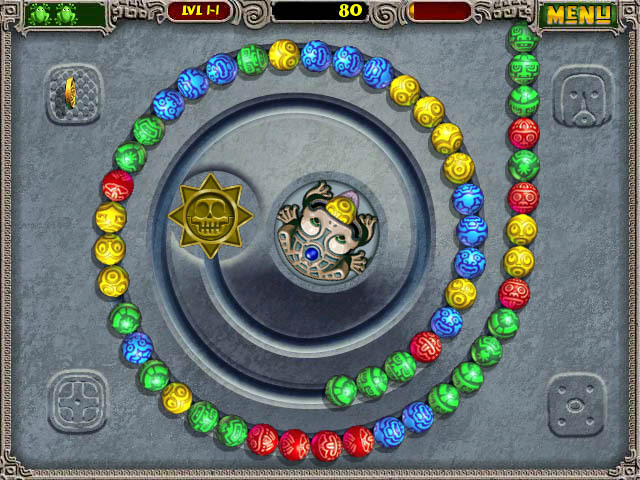 The game itself may have origins to Tetris, however is more like Busta-Move as players move the mouse to fire the coloured orb which appears in your creatures mouth with the corresponding colour. Although it may be easy from the start, the game does become progressively more difficult and frustratingly entertaining. At the end of the day, it's a true thinking man's puzzle game that as you can see from the below screenshot is quite a breath of fresh air. Besides the player, the star of the game is the little Aztec froglike creature. 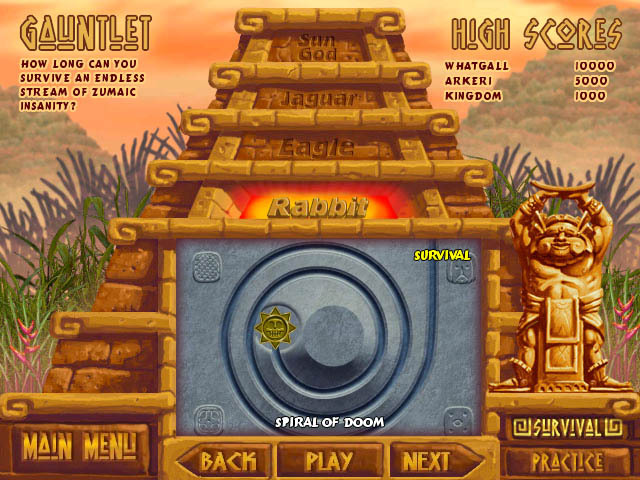 In relation to system requirements, they are relatively low with the game needing a minimum of Windows 2000, 128MB RAM, 350Mhz or faster and DirectX 7.0. If you have anything faster, the game will still work just as well. Graphically, the title is quite colourful and even though quite basic at times, actually suits the game perfectly. 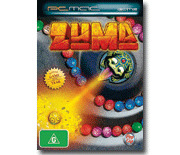 Sound wise, it contains a great ambient soundtrack and some entertaining sound effects to draw you into the world of Zuma!